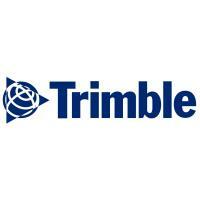 Company Summary: Trimble provides Mechanical and Plumbing Contractors with best of breed products for Estimating, BIM, Fabrication, Field Layout, Project Management, ERP, Laser Scanning, Augmented Reality, Collaboration and Professional Services. As the trusted provider of solutions for MEP, Trimble is leading the technological transformation of the mechanical contracting industry. Our team of dedicated MEP professionals is the largest in the world. We understand our customer’s challenges, and represent the voice of the customer in everything we do. By seamlessly connecting all stakeholders (contractors, engineers, manufacturers and distributors) and automating their workflows, our products increase efficiency, accuracy, and profitability for mechanical contractors. What value can you company bring to M&SCA Contractors: Trimble helps contractors accurately estimate the cost of projects, create constructible 3D designs, generate detailed installation and/or fabrication plans, and manage projects, and mitigate risks associated with mechanical construction. Our clients experience increased labor productivity and better financial controls. We are re-launching our next generation BIM products including SysQueand EC-CADas a subscription which reduces the cost of implementation and will help us reach an even wider market. Our powerful and user friendly estimating solutions including Autobidand Estimationcontinue to dominate the market and provide contractors with the security of accurate bids powered by our comprehensive Trade-Service pricing data. Trimble Robotic Total Stationscontinue to penetrate mechanical construction workflows and we’ve recently launched a new line of tablets and software to make the user experience faster and simpler. Our ERP solutions including Spectrum, provide mechanical contractors with the industry leading accounting and ERP platform that is powerful, scalable and provides real time construction specific business analytics to business owners and managers. Trimble TX 3D Laser Scannerscontinue to push the envelope of fabrication and planning capabilities by bringing millimeter accurate jobsite measurements and reality capture into offices and BIM models to more effectively plan work. How has being an Allied Member helped your business: Being an Allied Member of the MCAEPA is a core value at Trimble, it allows us to interact and participate in regional events with our clients and strengthen our ties and personal relationships to the industry in the greater Philadelphia area. Trimble is proud to be a member of the MCAEPA as well as an educational partner to UA Local 420 and 690. Additional Info: This year Trimble is launching the first iteration of a software platform that integrates VDC and Estimating workflows to provide real time cost/productivity metrics to clients. Please inquire to learn more!